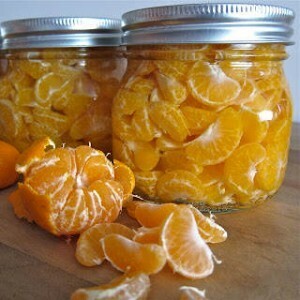 Canning: how to can mandarin oranges recipe. Catch them on sale and can them up, never pay the outrageous price for a little can of mandarin oranges. Artic Garden Studio shares the instructions for canning your own mandarin oranges and says that you can do this with any citrus fruits and you can even mix different citrus fruits together. Great way to take advantage of seasonal prces and have the citrus fruits when they are no longer in season. Next story How To Fix Dents in Wooden Floors & Furniture with an iron.